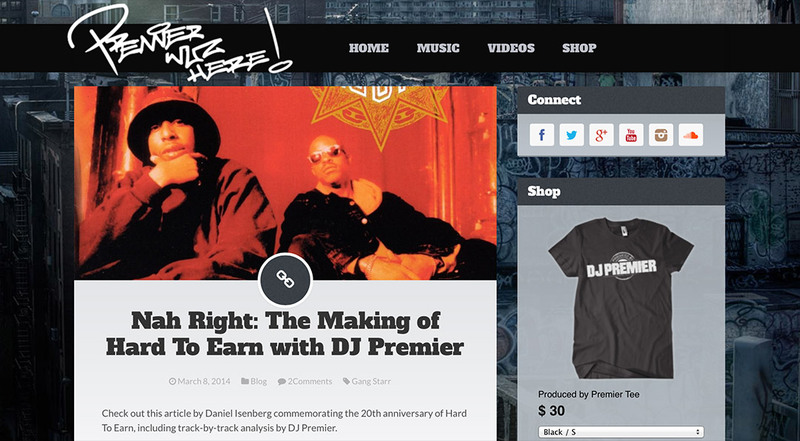 I first worked with Set Free on the original Robot Is The Future site. He was a guy on the other end of the phone and we worked well together, but I never met him in person. 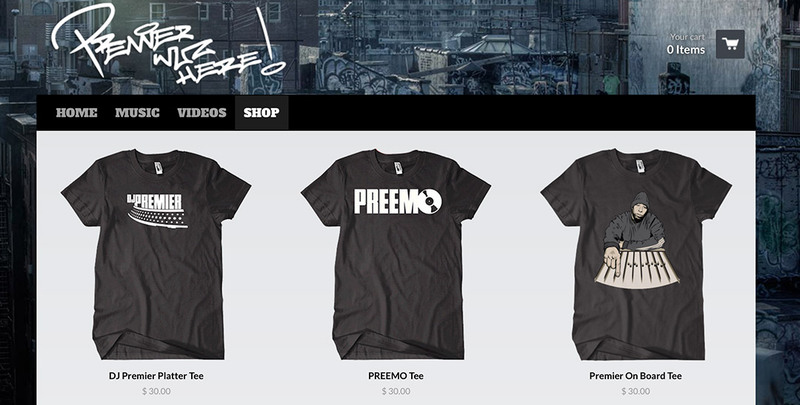 Fast forward to this spring, when I made my way up to The Compound in the BX to meet and discuss his site, live2befree.com. 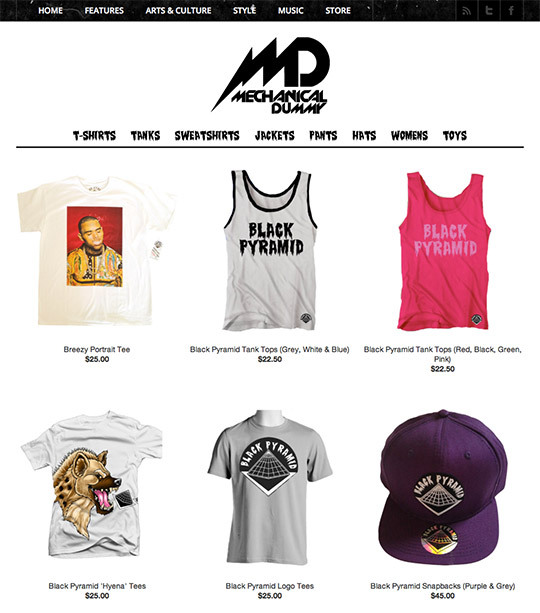 The site was already up and running, but was due for a facelift and new store. 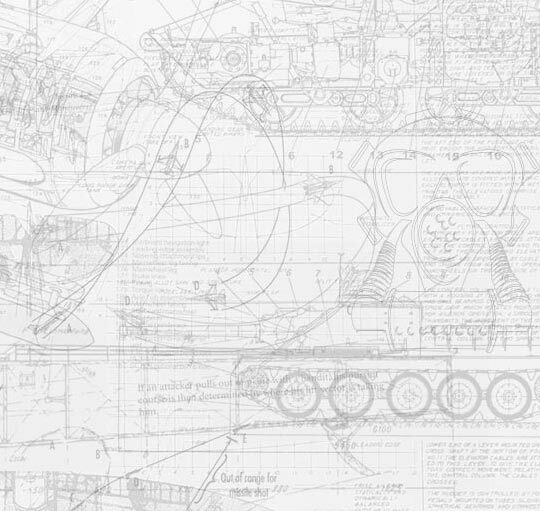 We cleaned everything up, simplified and responsified, and worked in some layered blueprint imagery of antique war machines. 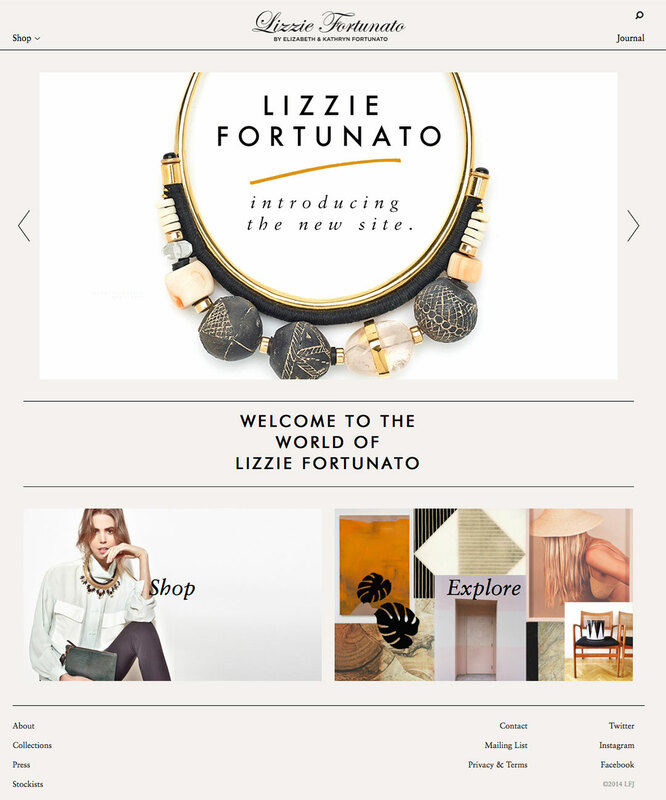 We moved away from the freebie wordpress shop software they were using before, and into the much slicker Shopify. Looking forward to more work with Free and Liza in the future. Stay thirsty, my friends! 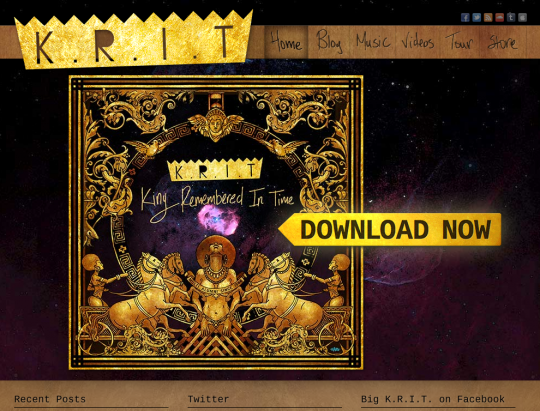 Redesigned website for Big K.R.I.T. 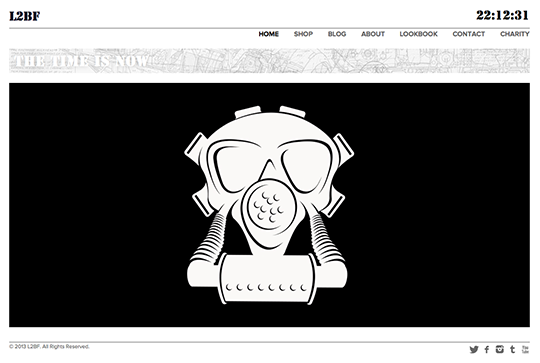 is up, based on artwork by the super talented Eric Bailey. 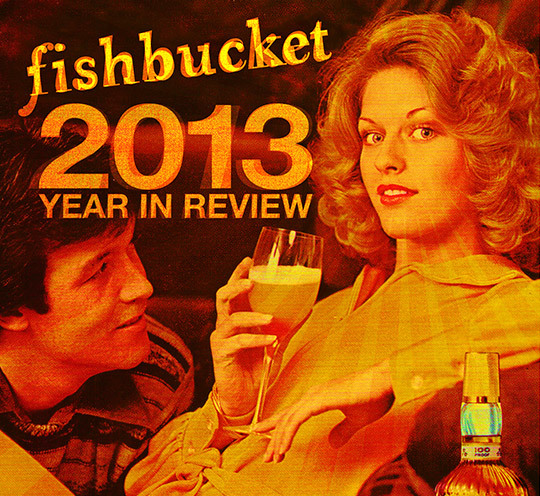 Look for another Eric/Fishbucket collaboration later this month. The homepage also has a download link to his latest project, King Remembered In Time. Download! Apparently Pharrell hasn’t had his own official website for a while? Well, problem solved! 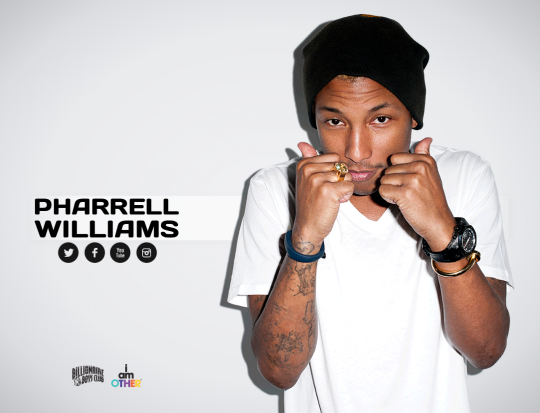 Today we launched PharrellWilliams.com, which is just a quick little page with some links and a photo. 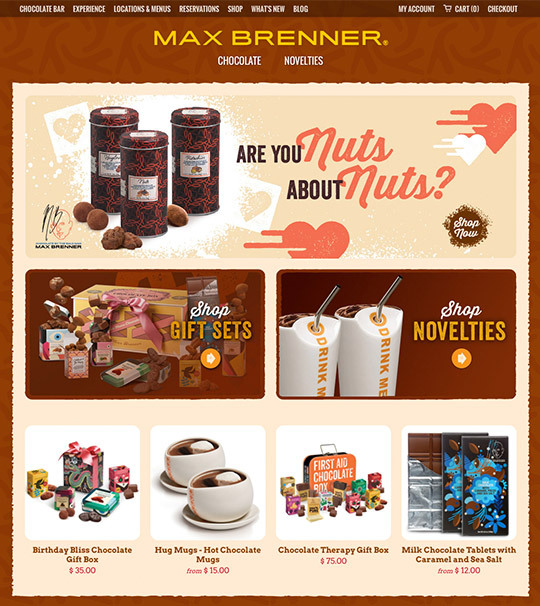 But hey, it’s a responsive design – for the kids! 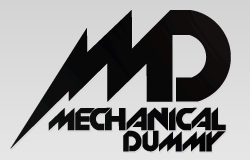 Stay tuned, I’m sure this page will evolve into more of a site at some point. 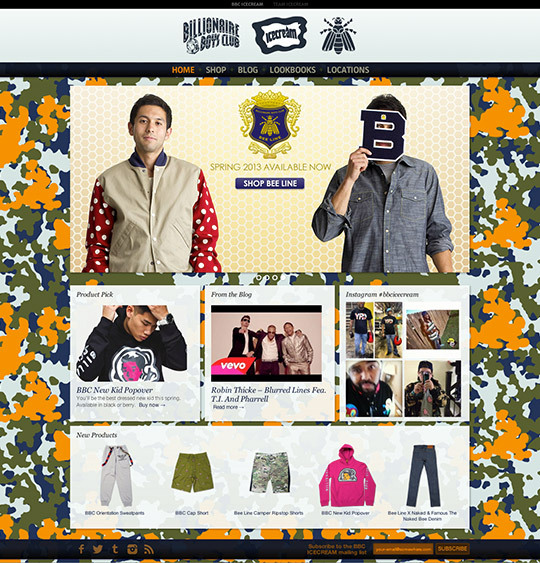 Hot off the presses, today we launched a new homepage for our friends over at the Billionaire Boys Club. 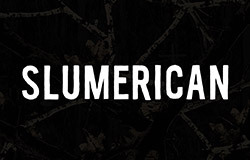 We did away with the scrolling lookbook that’s been chuffing by for the past few years. Now highlighting what’s going on in the shop, pulling in content, and other stuff that the kids enjoy these days. 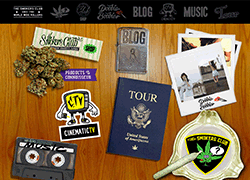 Tune your Web TV over to bbcicecream.com right now, with the quickness!